NVIDIA, the Graphic processor major mulls to expand its Gaming cafes in India by adding 100 Gaming Cafes across this year. The US-based company said that India has shown a tremendous scope for a major market potential for the growth of online gaming community along with tremendous rise in sale and use of gaming hardware and computer in the past couple of years. 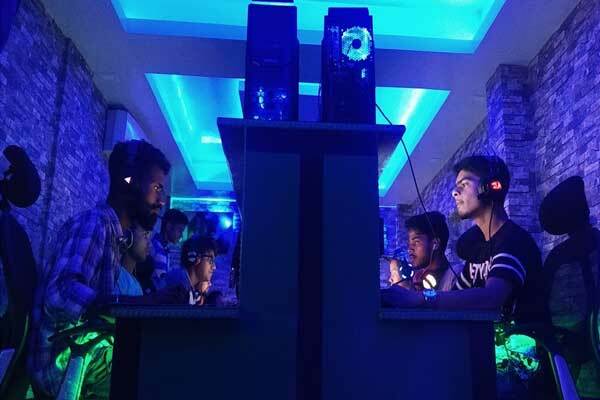 Vamshi Krishna, the Head of Consumer Marketing, South Asia NVIDIA said, there are nearly 100 such gaming cafes currently and less than 1000 non-exclusive cafes. NVIDIA which co-organised the 14th edition of Gamer Connect in Bengaluru last Month said the company has taken a three-prolonged approach to grow the digital gaming community in the country. Krishna estimated that around 16 million gamers in India are playing on PCs and Consoles and around 1.2 million in them have a good hardware for playing on digital platforms. According to Krishna, India still need to grow faster in the gaming domain a compared to its Asian neighbour Vietnam has 42000 gaming cafes. Besides, the company is helping in building the gaming community through events such as Gamer Connect, which saw a footfall of 7500 enthusiasts at the 14th edition in Bengaluru having started with 150 people in Bhubaneswar. Majority of the gamers are in the age group of 18-24 years and this creates a tremendous opportunity for companies like NVIDIA, said analysts.